Camping in a travel trailer is meant to make camping a little more easygoing, and having a generator along with your travel trailer makes things a whole lot easier. When your generator is built into your rig, you don’t have to worry about lugging along any extra weight or going outside to start things up. I did some research about which travel trailers have built in generators and which ones do not. So, do travel trailers have built in generators? 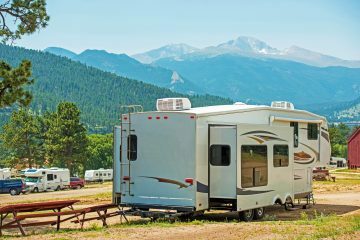 Many types of campers, such as travel trailers and hybrid trailers, don’t come with a built-in generator. That being said, you may be able to find one used that someone has put into their travel trailer, and they do make some very high-end models that have generators built in. Before you buy, get all the information possible about your RV and generator to ensure that your family fun goes uninterrupted by unexpected problems with your RV. Check the following parameters to make sure that your RV generator fits the bill. Otherwise, you will likely feel gipped out of your money. In your search for the most convenient RV that provides a built-in, reliable generator, one must consider the many makes and models of the RV world. 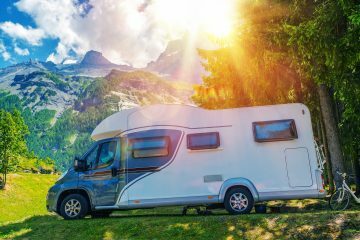 Generally, motorhomes are your best bet at having the most convenient camping experience and are always carrying a generator. 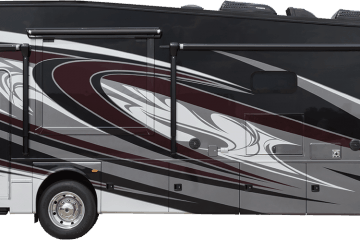 Plus, with this particular type of RV, the whole family can enjoy the ride to their favorite camping destination while enjoying the comforts of home; such as watching TV and turning up the air conditioning. The majority of all new motorhomes are required to have a generator to power A/C and microwaves. 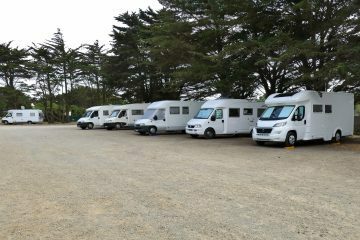 Whether you are interested in super Class C motorhomes, Class B motorhomes, or even small motorhomes, these RVs are a safe choice. Other RVs that often include built-in generators are truck campers, toy haulers, and fifth-wheels. Depending on how recent these RVs were made, you can be sure they have a built-in generator for your convenience. Make sure with your local RV dealer that your specific model has one installed before buying. There are many brands and makes of RV’s out there, and not all of them include a built-in generator. Although not all campers have a built-in generator and not all RV owners want a built-in generator, it is a nice backup to have. I can’t tell you how many times I have been thankful for a generator to turn on my camper lights late at night when I hear some strange scratching noises (by the way, it was a raccoon!). A generator rarely raises the selling price of a camper or RV much higher than what you are willing to pay. 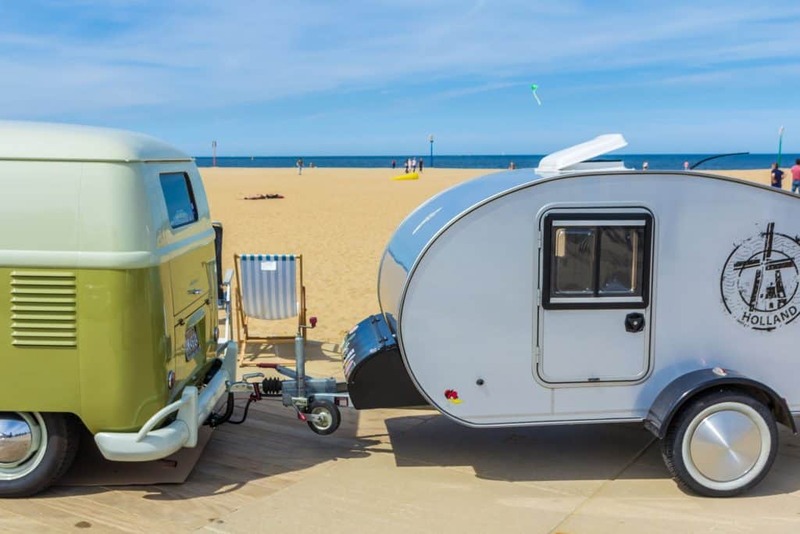 Once you find a camper that is within your budget, finding a similar camper with a built-in generator that is also in your budget is going to be a cinch. In fact, finding a similar camper with a built-in generator might actually end up being cheaper than buying an additional generator. 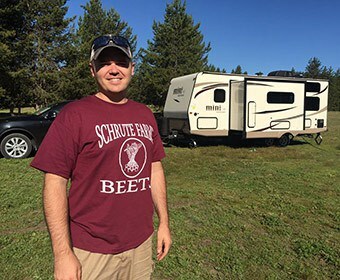 Another great question on the mind of many happy campers like you in pursuit of a stellar camper with a built-in generator would be how would we know whether or not this particular generator can take care of all my electronic needs while at camp or on the road? The answer is simple, take a look around the cabin and add up the necessary wattage to power your many appliances and then compare it to the general output level of the generator. The wattage output is displayed on the generator itself and on the box for many occasions. Make sure that the wattage output is higher than the needed outage to fit your needs to give yourself some room to add another appliance or two to your list. For example, when looking into the amount of wattage necessary to power your appliances, and overall your RV requires around 3.5 KW of power, it would be a very wise choice to purchase one that produces 4 KW. Don’t be frugal when buying a quality generator. A good generator truly pays for itself. You can power phone chargers, blenders, ovens and pretty much anything that plugs into a wall outlet. Buying a quality generator ensures that you are going to have a reliable and long lasting generator for the duration of your ownership of the RV or travel trailer. I would recommend visiting Amazon.com for RV generators or visiting your local RV dealership for their professional advice. Getting advice from an expert is always advisable when looking into buying a generator if your RV or travel trailer doesn’t already come with one. They will know the wattage that you need and will find the best fit for your rig. If you’re luck, your local dealership might be able to find you a deal or discount as well. The most common issue buyers run into when they choose to buy a generator that doesn’t fit the amount of wattage output necessary to fully power all their household appliances and AC, leaving them without the comforts of their home away from home. How will you know what the right RV generator is for you? There are more generators to choose from that none can count. Thought all generators perform the same purpose, charging your batteries, powering appliances, etc. not all generator are created equally. It’s time to talk about fuel purposes. The obvious choice for buying a generator that comes built-in to the RV is the safest. Propane generators provide the most benefits and are reliable beyond measure. This Eco-friendly alternative, unlike gasoline and diesel, is meant to last longer on the shelves; making storage a breeze. You will practically never have to worry about your propane going bad when not in use. Gasoline has been known to last 6 months in storage, while diesel lasts anywhere from 10-12 months on the shelf, without use. Propane, on the other hand, is meant to last indefinitely. If you plan on leaving your RV at the camping grounds year-round, propane would be the smart choice for your RV. Plus, propane generators are known to be quieter, making your family vacation your time to sit in the peace and quiet. 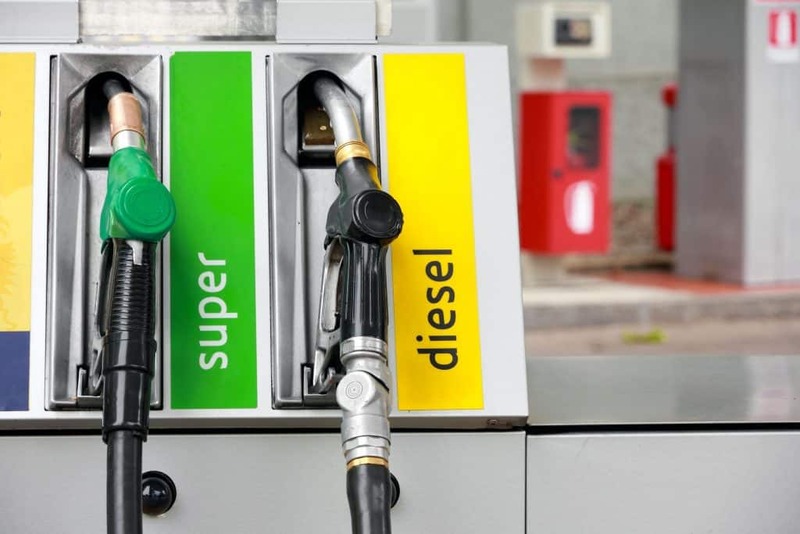 However, if you are looking for a fuel that packs a punch and can satisfy all your power needs gasoline and diesel generators are going to be your best bet. Diesel and gasoline generators tend to be much louder. Between the two, gasoline tends to be more economical for the buyer; with gasoline being completely accessible on practically every block in the U.S.A. If you are looking for a generator with the highest wattage output, look into an RV with a diesel generator. These beasts are meant to pack the biggest punch where needed. Often larger than other generators, diesel generators weigh quite a bit so pay attention to the amount of weight your RV is built to carry. Though often heavier, more expensive, and louder, they will deliver where needed and then some. Are generators dangerous? Because generators utilize flammable fuel to generate electricity, they present a fire hazard and can be dangerous. Make sure to get professional help in installing it, and keep fire sources at least 20 yards away from the generator. Should I buy a backup generator for my RV? A backup generator is not needed for your RV. Built-in generators are built to last and are reliable as long as proper maintenance is performed semi-annually. However, I would recommend bringing spare fuel just in case you get into a bind. Can I run a generator while on the road? 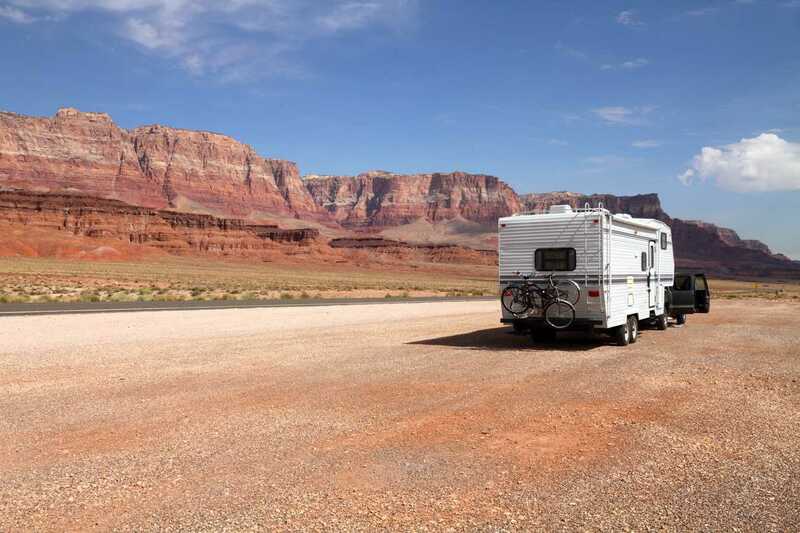 Most generators can be used while driving, but check the owners manual before using your RV to specify what appliances can and cannot be used while on the open road. 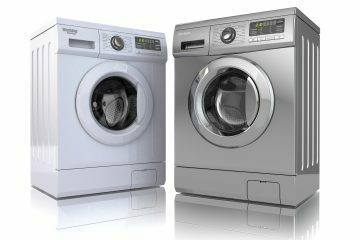 The most common appliances available while en route to your destination are televisions, indoor lights, air conditioning, etc.